For comprehensive bathroom rejuvenation services, contact the team at Superior Refinishing. We come to you from Anchorage, AK and provide fantastic results each and every time. We offer bathtub refinishing & resurfacing, scratch & chip repair, tile reglazing, Porcelain refinishing. If your tub's enamel is cracked or scratched, speak to us in Anchorage and we'll take care of everything for you. It is our mission to provide you with the highest quality glazes and personal service. We also want to save you enough money for other projects in your house. Superior Refinishing is also affiliated with EOA Executive One Alaska and Bathtub Refinisher's Association of America. Our service area includes Anchorage, Eagle River, Palmer, Wasilla, Girdwood and Big Lake. Superior Refinishing has over 16 years of experience providing quality services and great results. We're an industry leader when it comes to bathtub refinishing, and can make certain that your bathroom looks amazing for years to come. 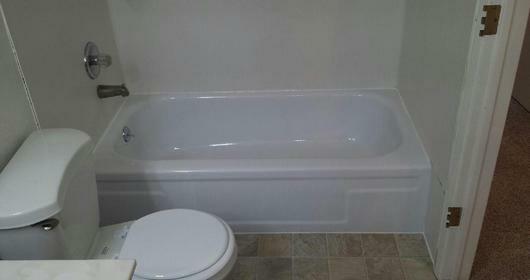 We have refinished over 5,000 bathtubs in the area. 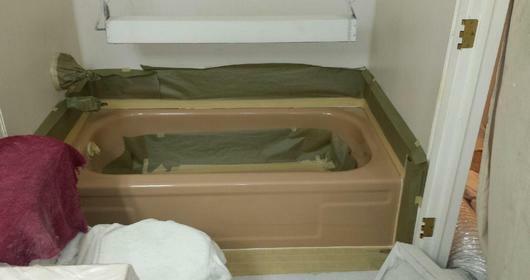 Rest assured, you will never have a trainee working on your tub only a professional. We are proud to have the highest BBB rating possible. Superior Refinishing received the highest BBB rating possible which speaks to our commitment to service and quality. With the expertise required to ensure excellent results on each and every project, Superior Refinishing is the place to call in Anchorage. Unlike some of our competitors, we will never ask you to leave your home while we work. Considering the high quality of our tile and bathtub refinishing services, you'll be pleasantly surprised at the prices offered by Superior Refinishing in Anchorage. We are proud to offer premium-quality services at budget rates. Get the quality results you expect at extremely reasonable rates at Superior Refinishing. Let's get started on your new bathroom project today. Don't wait! Give us a call at 907-764-9000 for a free estimate and so we can get started immediately. Our work is done fast, without sacrificing quality. This means that we'll be out of your way sooner, and you and your family will be free to enjoy your rejuvenated bathtub before you know it. We invite to find out more information about our bathtub refinishing business and services. We are pleased to offer one day service and next day use.